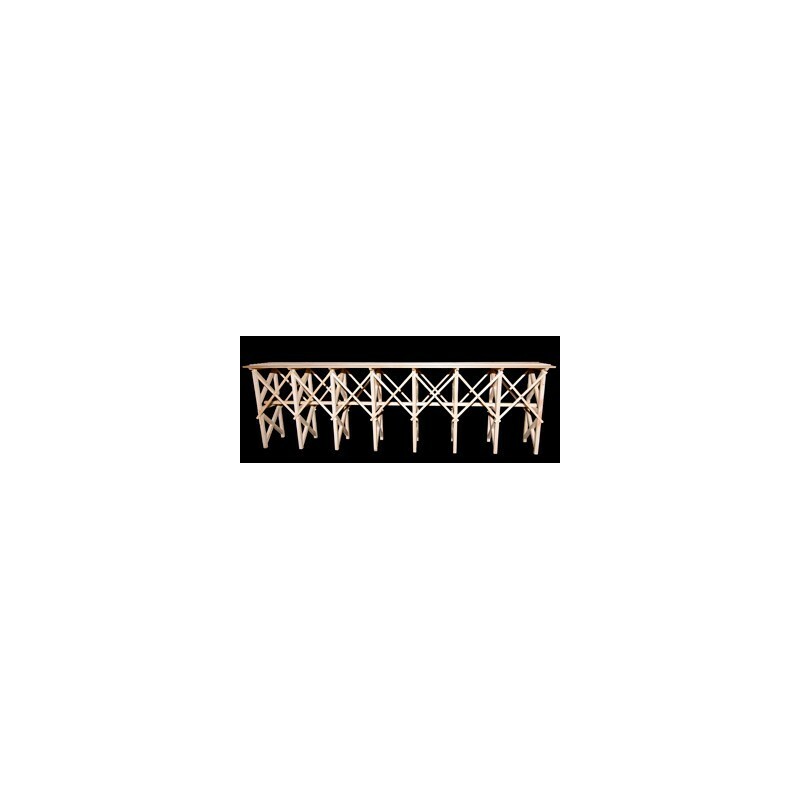 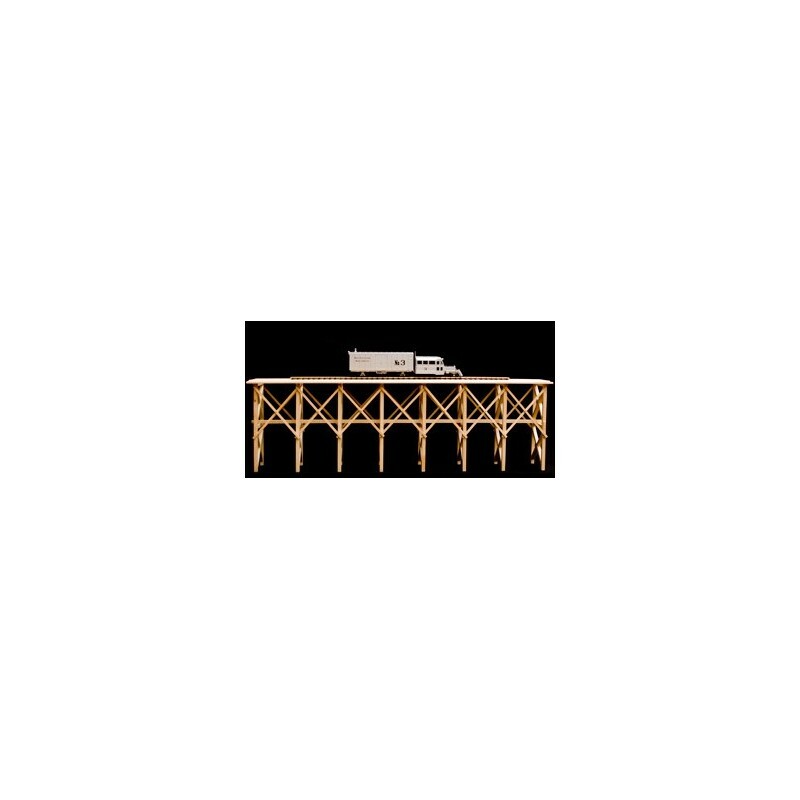 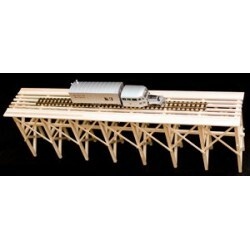 O Trestle Bridge assembled model, 7 trestles. 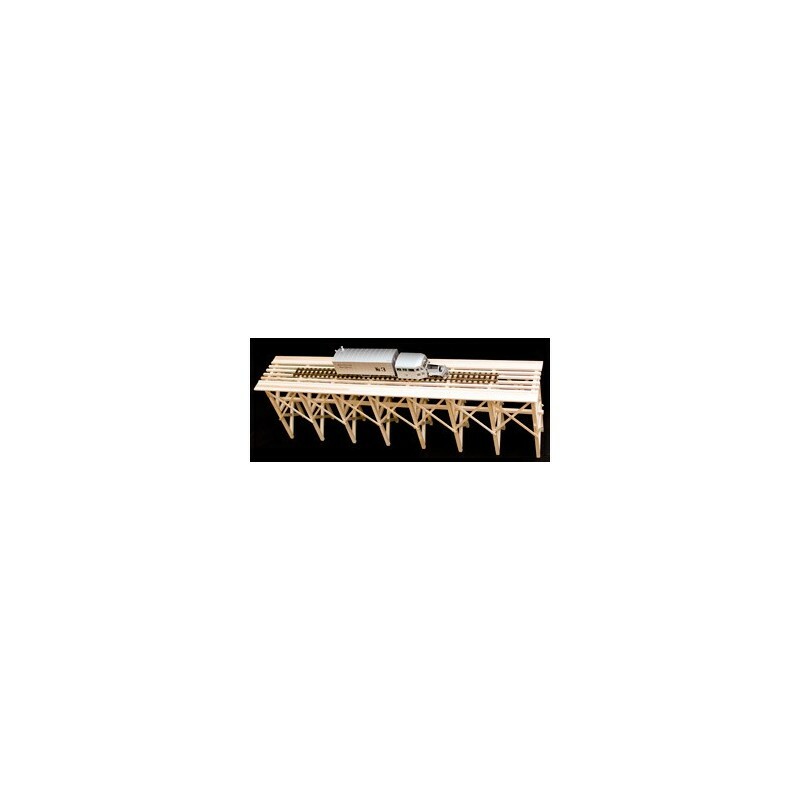 Size : 720 x 215 x deck 90 x pier's foot 130 mm. 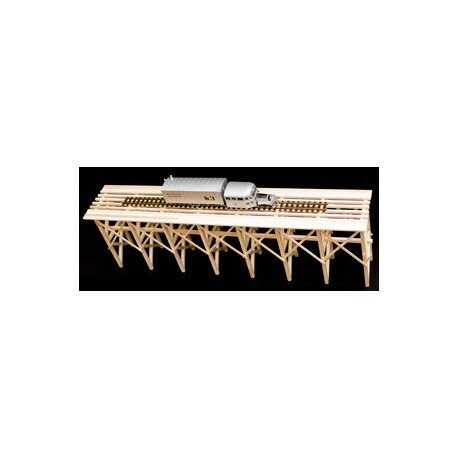 Delivered in a special dedicated carrier included in the price.